Cut two equal rectangles (or squares) out of construction paper. On one of the rectangles, draw, then cut out, a door, being sure to only cut on three sides, leaving a “hinge” edge so that the door can open and close. Glue the piece of paper with the door, onto the other piece of paper you cut out earlier, keeping the door free to open and close. Glue a photo of the pet/animal behind where the door opens and closes. Cut square or rectangles out of a contrasting color of construction paper. These will become windows. Glue the windows onto the house. Decorate the windows with a marker. Cut a roof out of construction paper and glue it to the house as well. You can embellish the house by drawing lines for shutters, shingles or siding. 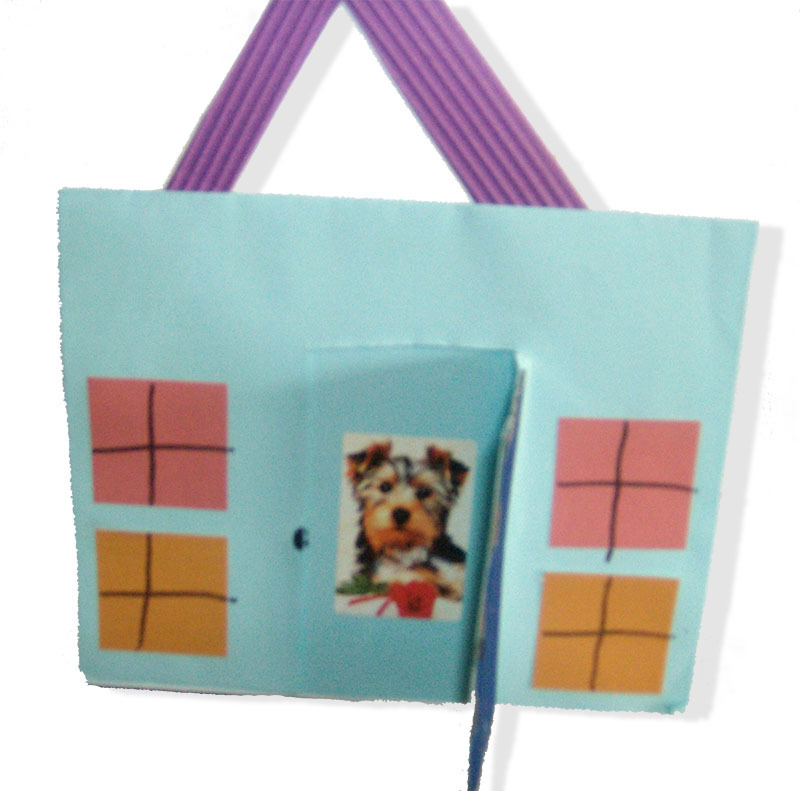 Use a strip of construction paper (or a piece of yarn) to create a hook with which to hang the house on the wall.